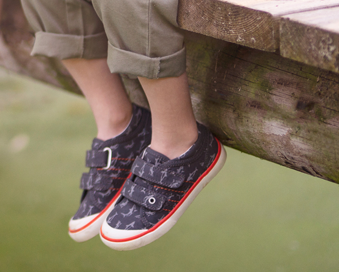 From our popular Stompos range, these cool kicks use fun character detailing with the dinosaur print and rubberised badge that lights up with every step. An athletic leather and mesh upper is teamed with a lightweight, flexible, EVA sole with rubber pads for added grip. A double rip-tape fastening, loop tabs and lime colour pops enhance the sporty look. 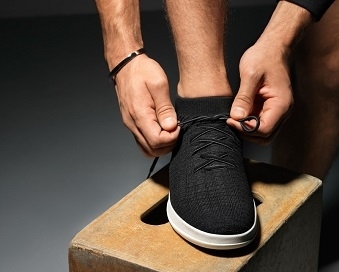 Complete with Agion linings to help keep fresh feet.